Our clients choose Sandgate Property Management to manage their rental properties in Sandgate, because we provide a full range of property management services, including marketing, advertising, applicant screening, rent collection, resident management, and property maintenance. As a full-service residential property management firm in Brisbane, we offer the most comprehensive and cost effective Residential Property Management Sandgate solutions. Real Property Management is one of the industry leaders providing innovative processes and systems which are managed by a professional and well-trained staff of experienced managers, maintenance technicians, and accountants. Through our experience, our knowledge of the Sandgate real estate market, and our excellent customer service, Real Property Management suburb provides stability and security in the often-challenging world of investment property ownership. Located in the northern part of Brisbane’s popular bayside, Sandgate attracts buyers looking for a lifestyle incorporating the outdoors and the water. The community in Sandgate has seen a shift toward a younger family-oriented demographic in recent years. 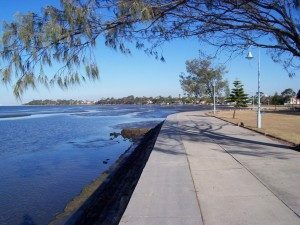 The redevelopment of the foreshore has seen an increase in the number of restaurants, cafes and leisure facilities including bike and walk ways. An older area, Sandgate is predominantly made up of houses with a few unit and townhouse complexes mixed in. With so much demand, very little vacant land is available in the area. Sandgate’s rising popularity is creating steady demand, which is in turn forcing the price of homes, in particular waterfront homes, upwards. The Bluewater Festival is rapidly becoming Sandgate’s premier event, attracting thousands of visitors to the waterfront. Residents are well catered for with primary and high schools (both public and private), and the North Point Institute of TAFE located in close proximity at Bracken Ridge. The Sandgate Shopping Complex along Brighton Road services the retail needs of residents while access to public transport is available from all areas around Sandgate. Sandgate residents have a reasonably short 30 minute commute via rail to Brisbane city. 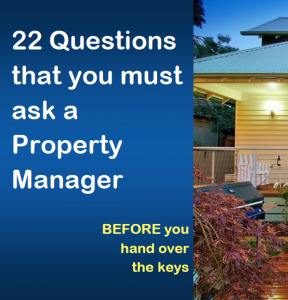 Real Property Management Australia are Sandgate Property Management specialists.